SunSource Solar Ready Option®: The XC21 allows you to add solar modules & create your own solar powered system that will generate electricity for your air conditioner and more, reducing not only your energy consumption, but your utility costs as well. 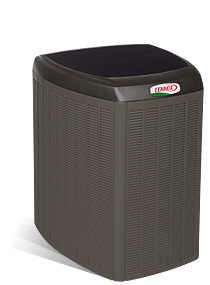 iComfort®– Enabled Technology: The air conditioner when installed with the Lennox iComfort WI-Fi® thermostat, will exchange information and make adjustments as needed to optimize performance & efficiency. High- Efficiency Outdoor Coil: This provides your system with exceptional heat transfer and low air resistance for high- efficiency operation that can lower your cooling bills.